Amazing experience with this provider; They took the time to personally refer me to a specialist for kidney disorders aftermy first visit since that was the next step. Very knowledgeable and thorough. Amazing experience with this provider; They took the time to personally refer me to a specialist for kidney disorders after my first visit since that was the next step. Very knowledgeableand thorough. I was not seen by the doctor. I was seen by the NP and she was GREAT. Very knowledgeable, sweet, allowedme to vent my issues and concerns and provided me with a plan and solution. I was able to greet the doctor on the way out but did not leave feeling dissatisfied at all. I was not seen by the doctor. I was seen by the NP and she was GREAT. Very knowledgeable, sweet, allowed me to vent my issues and concerns and provided mewith a plan and solution. I was able to greet the doctor on the way out but did not leave feeling dissatisfied at all. 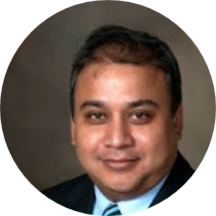 Dr. Vipin Gupta is a skilled gastroenterologist practicing at his own practice based in Lighthouse Point and Coral Springs, FL. Dr. Gupta attended J.J.M. Medical College, Davangere, where he earned his medical degree. He is skilled in the intricacies of medical care during ailments such as colonic polyps, stomach pain, diarrhea, rectal bleedings, and Crohn’s disease. Dr. Gupta is certified in gastroenterology. He believes in caring for his patients and addressing all their medical concerns. He provides patients with all the necessary information to make informed decisions about their treatment. Dr. Gupta encourages open communication with his patients which allows him to guide them through their treatment as an active participant in their own wellbeing. He is enthusiastic and detail-oriented in conducting patient needs assessments, as well as in providing accurate results and recommendations for the development of appropriate patient treatment. I enjoy my mother's doctor and staff. Dr. Gupta has very excellent bedside manners. He is always honest with me regarding my mother. I would recommend Dr. Gupta and his staff any day and will not change doctors.